Finally, it is spring. Today I have splurged out on art supplies. 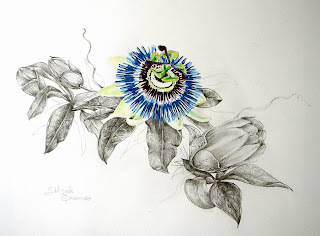 My garden is coming to life and every spring I sit out there and sketch the flowers. This year I am going to do mixed media sketches using charcoal and oil paint on primed paper. Its going to be messy and tactile and a lot of fun! I think the painted flowers with a charcoal background should be interesting and a challenge to keep the sketches fresh looking and hopefully with a smattering of originality. Drawing is my first love and spring is the season of love! "Spring is the season of love!". 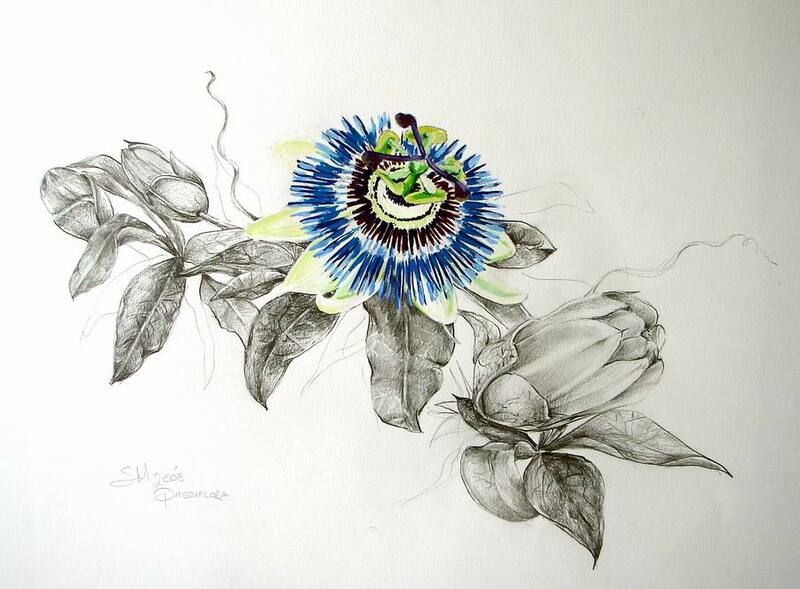 It's very fitting that you chose a picture of a passion flower. Click the image to see the detail in the drawing. Trying again Samantha. I've changed the way comments are handled slightly. Hopefully, users will find this easier. Please delete any of my comments you don't want. I hope you remember me from artforum. I see you are not involved as much now. Thank you for visting my blog, but when I tried to follow yours the link failed. Anyway it is good that I have been able to contact you. I hope you and your boy are doing well. It is good to see your work again. Hello Trevor, Yes of course I remember you and your amazing work! I will be following your work as always. My boy is doing well, thank you. I just do not have the spare time to visit the Artforum, I hope things there are peaceful and good. Thank you for the comment Trevor, it is good to hear from you and keep up the great work.